D.J. Webb Electrical Services Limited - Electrician based in Brambridge, Hampshire. 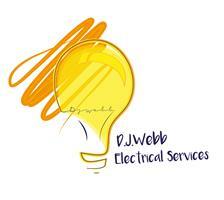 D.J Webb Electrical is based in Brambridge, between Winchester and Eastleigh. It is an established local business owned by Daniel Webb who has over 10 years’ experience in the trade including domestic, specialising in new Builds/Extensions and commercial work along with work for the MOD. We are 17th edition NICEIC approved electricians on the domestic installation scheme. D.J. Webb Electrical is fully insured with public liability insurance to the value of £2 million as well as professional indemnity insurance. Our aim as a small local business is to provide a trustworthy service with a high level of care and professionalism, thus ensuring all work is carried out to the latest regulations. We pride ourselves in giving our customers an excellent quality trade whilst maintaining a polite and courteous manner at all times. This includes maintaining a trade relationship with your builder, discussing your plans and drawings of any work to be carried out etc.